The mission of Kavod Charter School is to provide an excellent academic program while teaching modern-day Hebrew and developing socially responsible, respectful, global citizens. Our vision at Kavod Charter School is to create a dynamic community of learners who strive for academic excellence and achievement and who become proficient Hebrew and English speakers, and through investing in our teachers and educational programs, our students will be continually challenged in order to meet their full potential. We believe in creating a diverse community where students work together, actively engaging in service-learning projects in order to become productive members of society. In this environment, our students develop the tools needed to achieve success in their continued education, careers and journey in life. Kavod כבוד is the Hebrew word for honor and respect. It is a word of great strength and importance in the Hebrew language and these are the traits we want to instill in our students’ lives and interweave throughout all aspects of the school. In order to develop life-long learners, 21st century-educated people and socially-aware citizens, Kavod Charter School creates a culture of honor and respect towards education and the learning process. 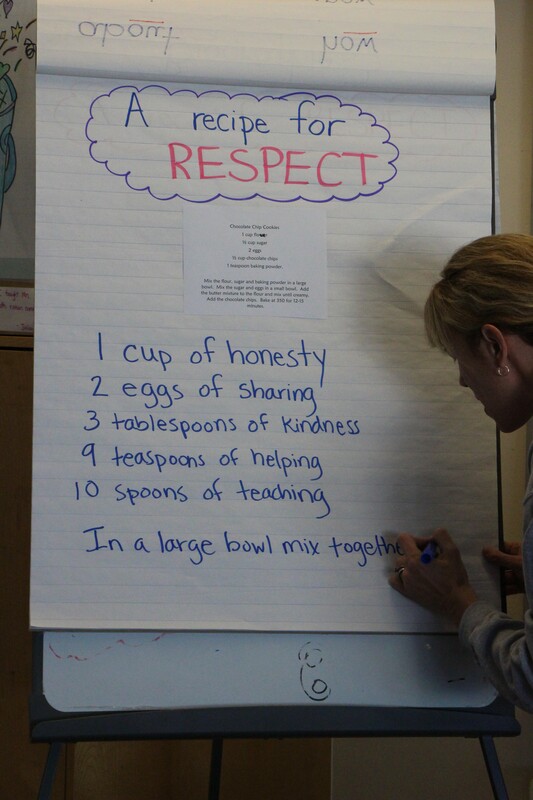 Students partake in weekly activities that help them to understand the importance of respect and good citizenship.